By registering your home or business surveillance cameras you can help solve crimes within your Community. Community ShareCam is a community safety program instituted by the Wayne Township Police Department (“WPD”) which allows both residents and businesses to partner with the WPD in the fight against crime throughout the Township. Simply by registering your home or business Surveillance System with the Wayne Police you can be an invaluable asset in solving crimes in your neighborhood. When a crime occurs in your neighborhood, the Wayne Police will call on you and request a copy of your video footage. This footage will help establish leads, identify suspects and save valuable investigative time. All registered camera locations are stored in a secure database and are entered into our Records Management System allowing the WPD to map out locations of cameras throughout the town. Community ShareCam Wayne does not provide the Wayne Police with direct access to your Surveillance Systems. Residents and Businesses will only be contacted by the WPD in the event of a crime occurring in the area of their camera coverage. Registration is easy and takes just a minute to complete three simple steps. You provide basic contact information and tell us where your cameras are located There is no cost to register. Once you completed the registration, a member of the Wayne Police will follow up with you to confirm your information. The Wayne Police will only contact you if there is a criminal incident in the area of your security cameras. Police personnel may request a copy of any video captured by your cameras, which may assist in the investigation. Any video footage collected by the Wayne Police Department relating to criminal activity may be used in the investigation and as evidence during any stage of the criminal proceeding. Video footage provided to the Wayne Police is reserved for official use only. 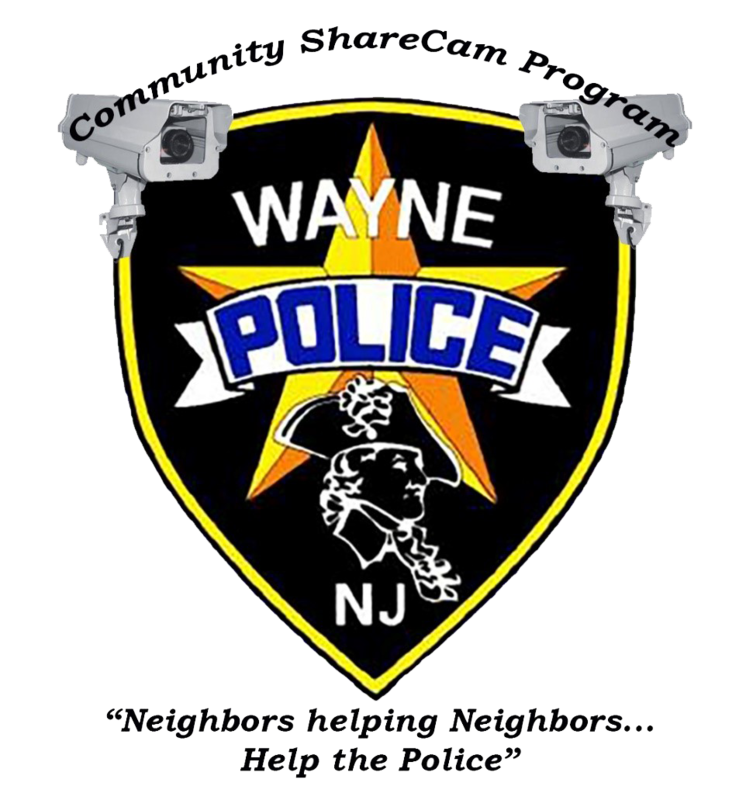 Under no circumstances shall registrants construe that they are acting as an agent/ or employee of the Wayne Police Department through the Community ShareCam Program. When necessary the Wayne Police Department will contact you directly using the information you have provided to obtain surveillance video footage. You agree not to release any video footage or still images to the media without consulting with the Wayne Police Department. Online Community ShareCam Submit Form.